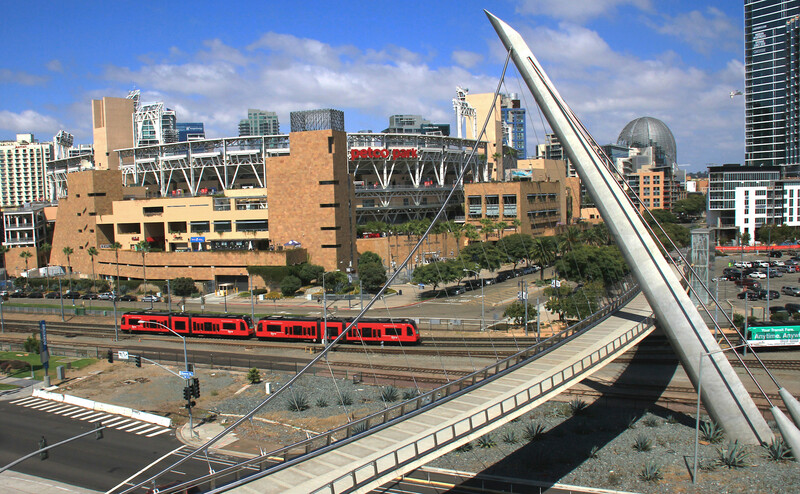 Wide angle photograph of the Petco Park, with Trolley and bridge. Dramatic view of the Padres baseball park and the bridge over Harbor Drive in South end of downtown San Diego, CA. This image is accented by the red trolley train passing the ballpark.